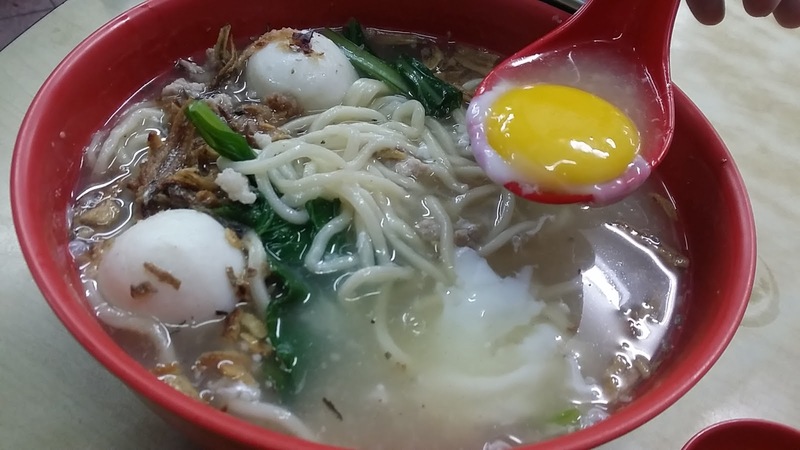 I have always been a fan of handmade noodles since young and so far till now, I think no other handmade noodles can be compared to the one which my grandma cooked for me since young! The mister also gotten his car lately and we can go "food-exploring" now, but we have to tighten our spending too as car is off the check-list now, we still have to search for our love-nest and save for wedding. :( Sigh... 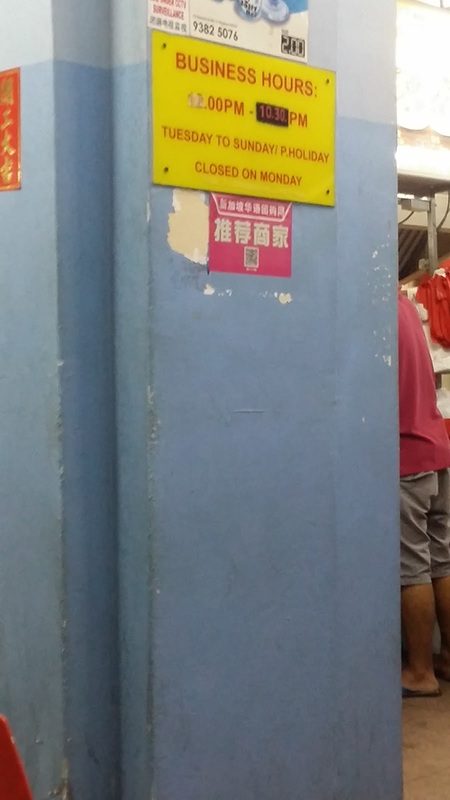 Living cost in Singapore is indeed high nowadays! I met the mister quite late for dinner and I'm famished by the time he came to fetch me, I suggest the handmade noodles at Geylang Lorong 32 and there's free parking too. 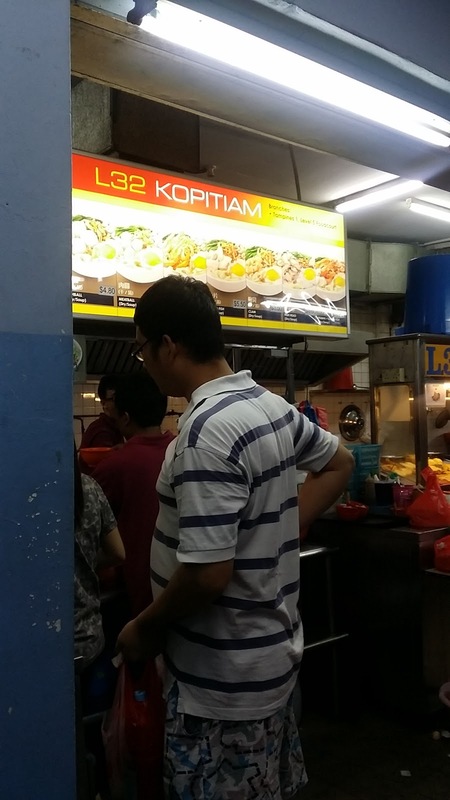 We parked at Lorong 34 and walked over to L32 Kopitiam at Lorong 32. It was full house - we managed to share table with others. 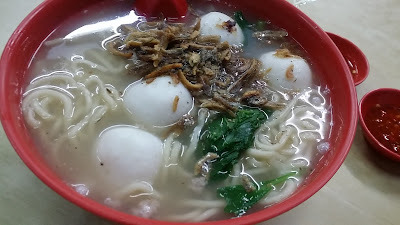 The Kopitiam only sell Handmade noodles and Ngoh Hiang but I think only the Handmade noodles are good because there's waiting time of around 30-40 minutes. 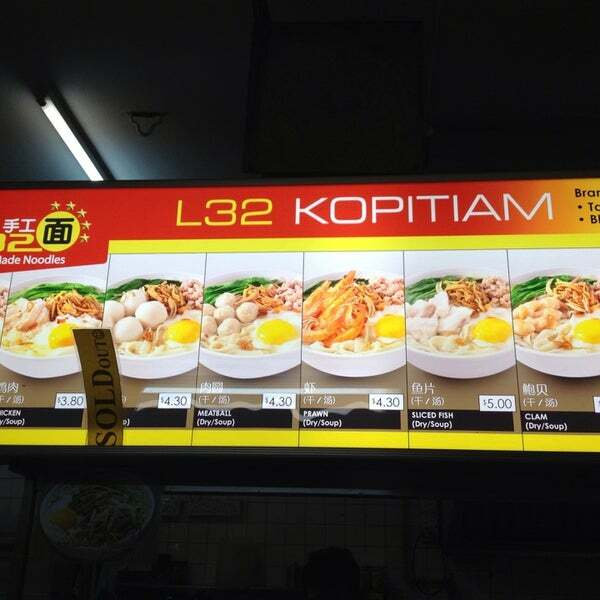 They do have a few soup varieties such as pork, chicken, fishballs, meatballs, prawn, fish slice, fish head etc and the price varies. The cheapest is $4 for the pork and chicken varieties while the fishball type cost $4.80, as I only ordered the pork and fishball version. They do have dry version here too! 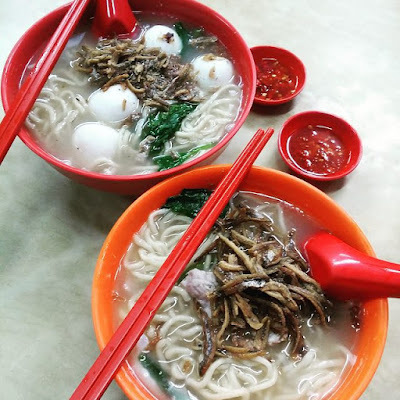 The opening hours should be from 1pm to 10.30pm but please note that their last orders will be around 9.20pm. The first thing the mister did was to find the egg because it was his favorite runny egg yolk and he gulped it down like that! :s I followed him and ate the egg yolk too, super delicious! :D I took a sip of the soup and it is so tasty, it must have been boiled for many hours! I took a bite of the you-mian, it was springy and not soggy, I like it! The chilli was spicy & shiok to the max. 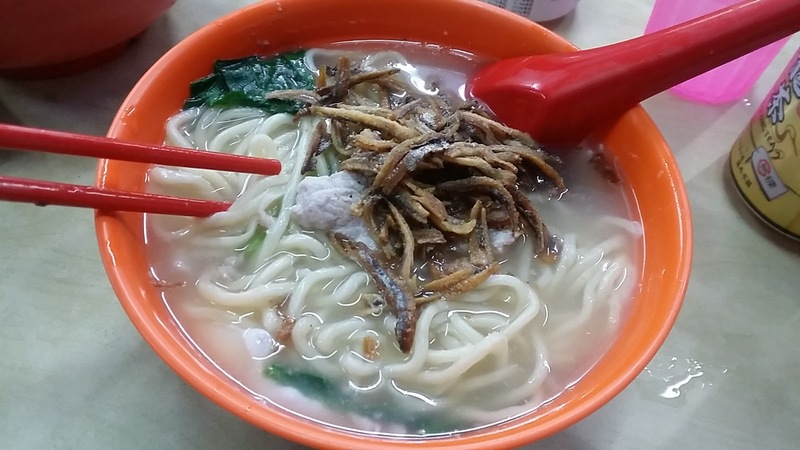 We love the handmade noodles and will come back again pretty soon, bringing my mum and sister here next time round.